Of the citron liqueur, the renowned assortment of local cheeses and the fresh grown potatoes unlike any other you’ve tried before. So, let’s take a closer look at the 5+1 top traditional dishes of Naxos that you must taste during your visit. 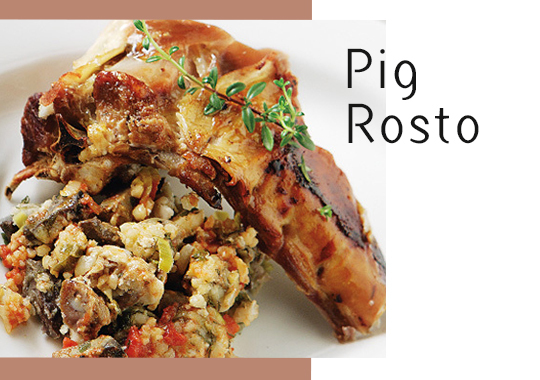 This is a signature meat dish made with pork, usually pork leg, garlic and red wine. It is often served with thick macaroni. 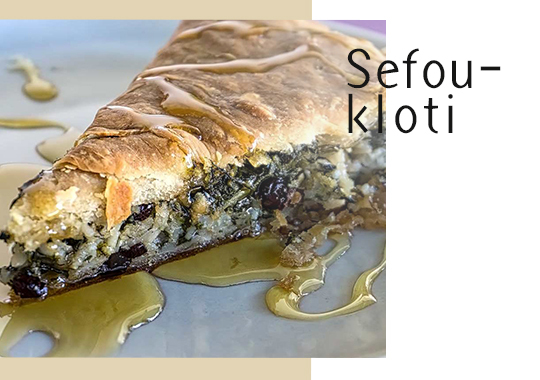 A delicious traditional pie made with white beet, fennel and aromatic greens, herbs, spinach, oregano, onions, raisins and olive oil. This particular pie is made in a frying pan with no milk or eggs. 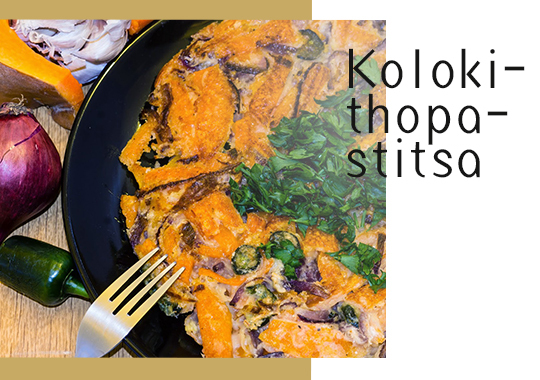 This exceptional dish is based on a traditional recipe from the village of Apeiranthos. It is an open face pie made in the frying pan with sweet pumpkin, flour, onions and peppers. 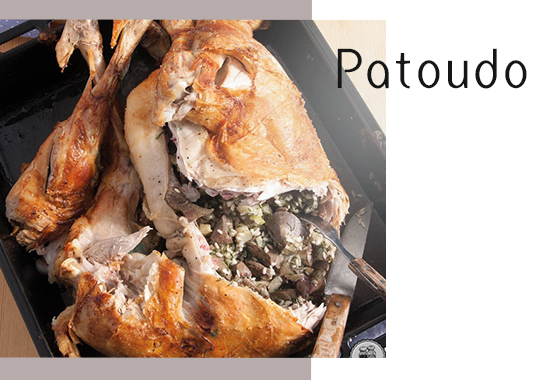 Stuffed lamb with herbs, fennel, white beets, garlic and olive oil usually served with local potatoes and red local wine. 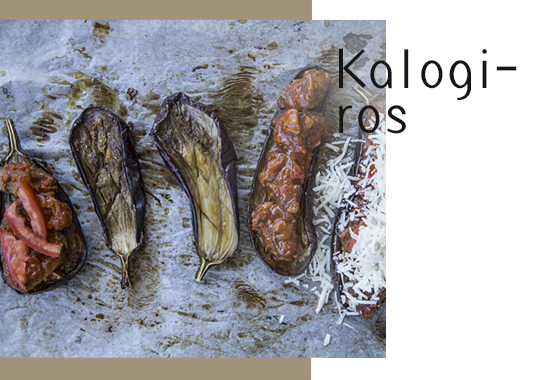 An exceptional combination of veal and eggplants, served with melted cheese on top. After enjoying a wide selection of delectable dishes it is time for you to wrap up your meal with a sweet treat. 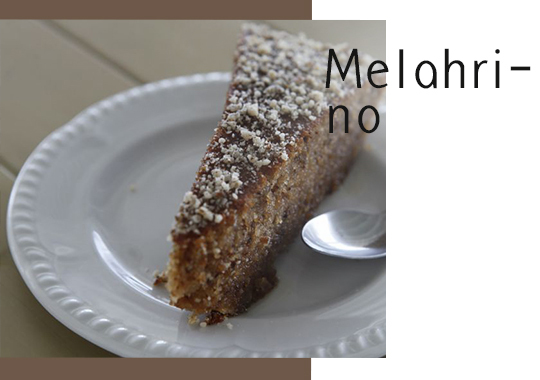 Why not try a Melachrino cake made with walnuts and drenched with syrup? If you prefer you may also order some of the local spoon sweets, we suggest the one made with local citron. It’s about time to rewire your appetite for an authentic Naxian meal. 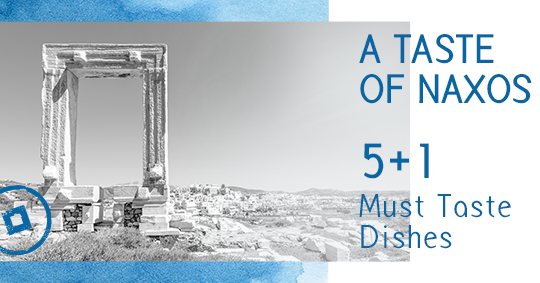 Are you ready to savor the essence of Naxos? Take in the island’s scents and flavors until next time that we will be visiting the neighboring island of Paros. This entry was posted in Gastronomy, Naxos, Tourism Insight and tagged gastronomy, greek islands. Bookmark the permalink.